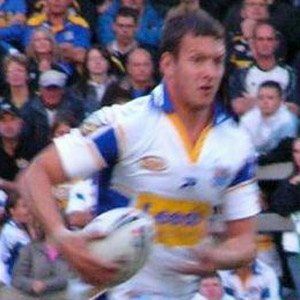 Halfback and stand-off who made his senior career debut in 2001 for the Leeds Rhinos. He played for East Leeds ARLFC before joining the Leeds Rhinos. As a member of Leeds he won three consecutive titles from 2006 to 2008. He was raised in Leeds, West Yorkshire, right where he began his career. He became teammates with Kevin Sinfield on England's national team.